When it comes to coffee, there are numerous options. Americano, Colombian, French… coffee drinking is truly universal. But when it comes to protecting your prostate and lowering your risk of prostate cancer, experts suggest choosing Italian coffee. Espresso, cappuccino, macchiato’s, and even mochas—all common in Italian culture—have been found to lower the risk of prostate cancer. But one cup simply won’t do. The study unveiled that you need to drink three or more cups of the hot beverage a day to see real benefits. Until now, there have been numerous studies exploring the benefits of coffee for prostate cancer. This most recent study adds more evidence that drinking Italian is the way to go to maintain a healthy prostate. 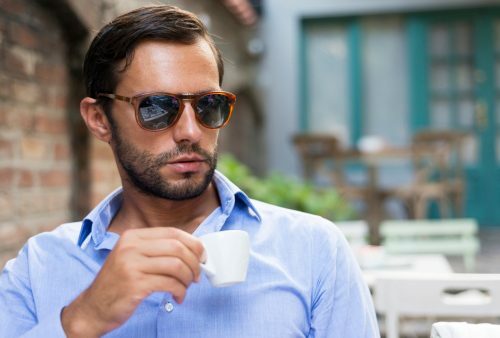 The researchers followed 7,000 Italian men whose diets and coffee consumption was assessed over the course of 4.24 years. The researchers also tested the properties of coffee on prostate cancer cells. During the follow-up period, 100 new cases of prostate cancer occurred. The researchers found a 53 percent reduction in prostate cancer risk in participants who consumed three or more cups of coffee a day in comparison to those who drank two or less. The researchers also found that prostate cancer cells treated with high volumes of caffeine showed a significant reduction in their proliferative and metastatic behaviors—their ability to spread. Other studies have demonstrated the benefits of coffee and caffeine in other areas of health, including the liver. But as coffee is a stimulant, you must be cautious of how much you consume. Speak to your doctor if you’re concerned about your caffeine intake or notice side effects.